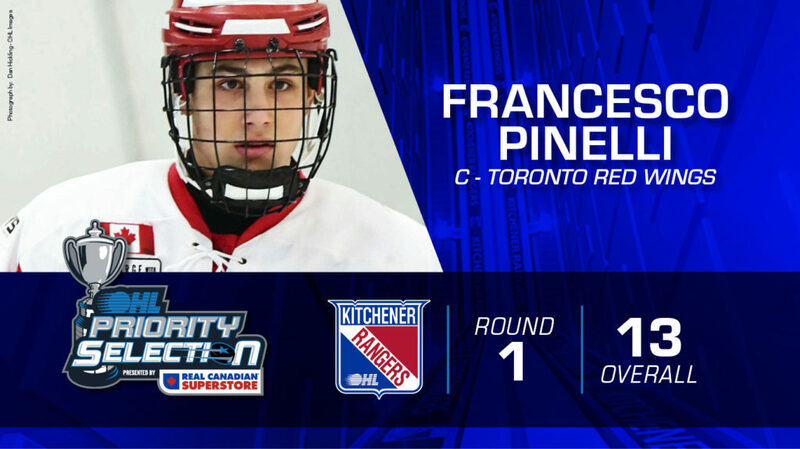 The Kitchener Rangers have announced Francesco Pinelli of the Toronto Red Wings as their first round pick, (13th overall) in the 2019 OHL Priority Selection. The 5.11.5, 172lbs forward from Stoney Creek, Ontario registered 49 goals and 65 assists for 114 points in 71 games played with the Red Wings. The Rangers have 13 total picks during Saturday’s OHL Priority Selection.